Living in Wisconsin my entire life I can’t say I’ve been exposed to really good BBQ a lot, but when I do find it I really enjoy it. 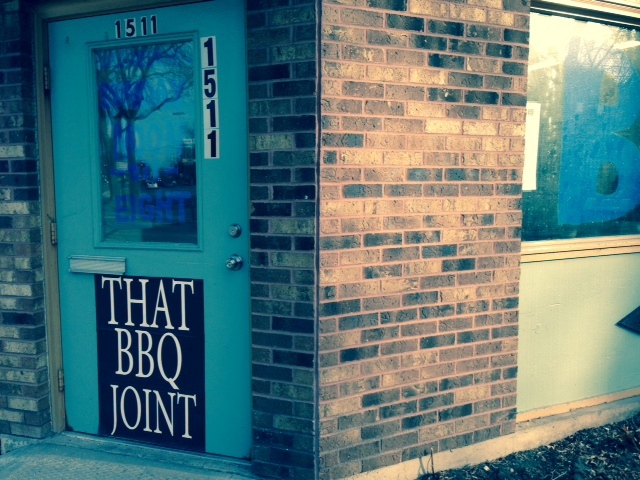 I wish there were more quality BBQ options in the midwest. I also wish I knew if what I was eating would be considered good southern BBQ, but all I know is that the food at That BBQ Joint on Willy Street was very good. One of my vegetarian friends asked if I wanted to go, which was an odd conversation to begin with but she said their vegetarian options sounded good so we went. The tiny building that used to house Batch Bakehouse has three small tables and two counters along the side and back walls. When we walked in it smelled like a smoker, which is a pretty good indicator that they are actually smoking their BBQ. You order at a counter, grab a seat in the dining area, and the girl behind the counter brings out your food. I got the rib basket that comes with three ribs, a dinner roll and two sides for $8.99. 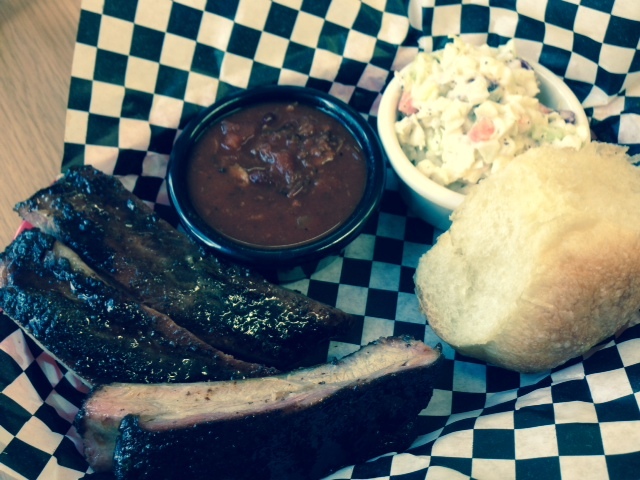 For sides they have vinegar slaw, creamy slaw, three-bean salad, greens, brisket chili and baked beans. The amount of ribs was perfect for the price, but I would have liked my sides to be a little bigger. The three ribs had a great char on them, and I could see and taste the smoke ring, but they were a little tough. The ribs had a good flavor on their own, but there were three sauce options on the table I had to try. The yellow mustard sauce had a good flavor that balanced out the saltiness of the ribs. The Caribbean sauce was awful. It tasted kind of like burned BBQ sauce with a random tang that didn’t work well together. The regular BBQ sauce was good, but nothing special. I would have liked to see a spicy sauce option. My meal came with a roll, which was forgettable and was served without butter. For my sides I chose the creamy coleslaw and the brisket chili. The brisket chili was fantastic. I can safely say it was the highlight of the meal and was even better than the ribs. It had a fantastic flavor, a good consistency and massive chunks of tender brisket. The quality of the chili made me want to try their brisket next time I go. The creamy coleslaw was pretty good except for the fact that they added craisins. The coleslaw is already sweeter thanks to the creamy dressing, it doesn’t need more sweetness. Plus I generally don’t like craisins. I did really enjoy the almost minced texture of the coleslaw. It made it easier to eat and held the sauce well. My friend got the Boca Mo’ which is basically a sloppy joe made with Boca crumbles. She definitely enjoyed it, and I even thought it tasted pretty good, not good enough to pass up ribs but good enough to bring vegetarians to a BBQ restaurant. We also ordered some cornbread. 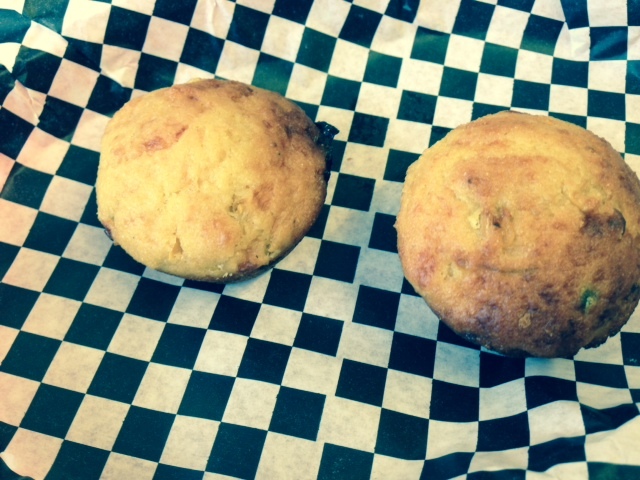 An order of two jalapeno cornbread muffins is only $1.50 and the muffins were a pretty good size. The muffins had actual chunks of corn in them that I really loved, but I didn’t taste any jalapeno flavor. They were also not served with butter, and normally that’s not a problem because cornbread is good enough without butter, but these were a little dry and the butter would have made them better. FOOD NOTES: I don’t know if this place is southern-BBQ quality, but I definitely enjoyed my meal. The ribs had a great smokiness and flavor, but were a little tough. I would expect better sauce options at a BBQ place, but their yellow mustard sauce had great flavor. I really enjoyed my side of brisket chili and look forward to trying their other brisket options. I’m always about mixing up traditional dishes with new ingredients, but their creamy coleslaw would be a lot better without the craisins. The jalapeno cornbread muffins need more jalapeno kick and could be more moist. The entire place felt very simple and down-home. I look forward to going back sometime soon to try more on their menu, especially the brisket! Some places rely on their amazing food, while some places serve up good food in an amazing atmosphere. AJ Bombers definitely falls into that second category. The food my mom and I got had some high points, but the great atmosphere and staff is what made our experience at AJ Bombers awesome; not to mention the fact that the Badgers beat Arizona in the NCAA tournament to make it to the Final Four. We went down to State Street to find a place to watch the game and ended up at AJ Bombers. Originally the hostess told us we might have to wait through part of the game for someone to leave (which we were completely fine with), but some idiot came in and threw a fit that a back room he had sat in before wasn’t open. So the super nice manager opened the back room so that guy’s party and we could get a seat for the game. The manager was extremely nice and even though they didn’t have the staffing for that extra room he made sure we had a great time during the game. 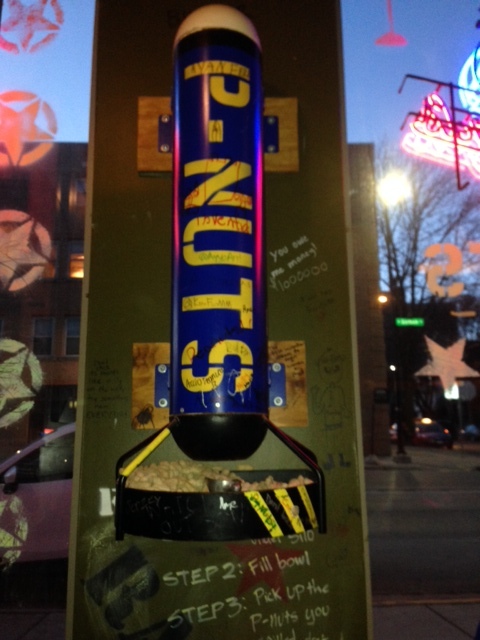 SIDE NOTE: Sorry about the lack of pictures, the Badgers game was so exciting I forgot to take pictures of the cool peanut dispensers, the awesome dining room decor (you get to write on the walls! ), and the sign. While waiting for our table and for our food we got to munch on peanuts and throw the shells onto the floor. When I first started tossing the shells on the floor I felt bad, but the floor throughout the entire place was covered in shells so I got over that. There are peanut troughs and dispensers throughout, and it was a great option while we were originally waiting for a table. The peanuts are a great gimmick and pretty unique. It’s such a simple thing to offer, but I have never seen it before. 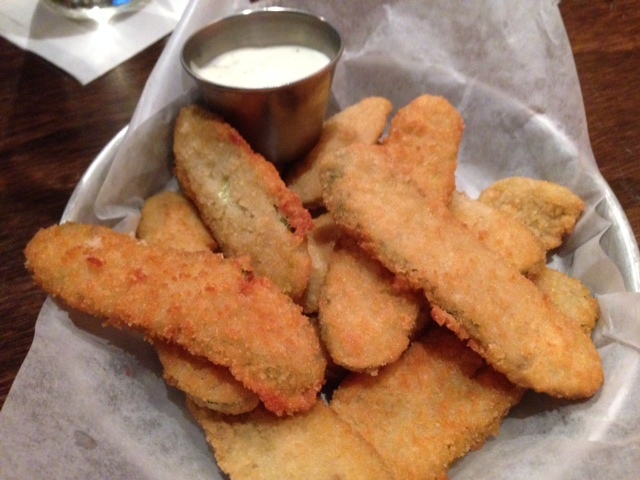 We started with the AJ’s frickles because how can you pass up fried pickles during a basketball game?! The long oval pickle chips were heavily coated in batter and fried. They came out hot and crispy. They weren’t the most amazing fried pickles I’ve had, but they were pretty good and were a great accompaniment to the start of the game. 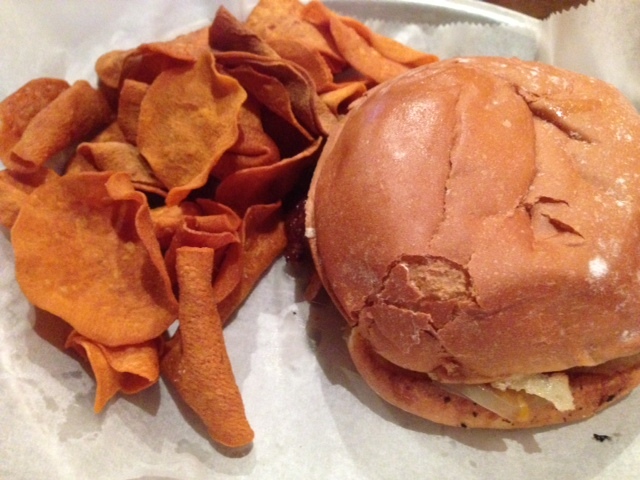 You have to order sides separately from burgers and sandwiches so we decided to split an order of sweet potato chips. The homemade chips were crispy, perfectly salted and not at all greasy. They were the perfect compliment to the pretty heavy burger I ordered. I got the Milwaukee burger that comes with Wisconsin colby cheese, Berkshire bacon and Schlitz onions. The Wisconsin ingredients are what drew me to the burger and they delivered. The onions sauteed in Schlitz beer added a great flavor that, just like the peanuts, were so simple and unique. The bacon was thick and cooked perfectly, and all of the ingredients were on a super moist potato bun. The one suggestion I have for the burger would be some type of sauce, a garlic aioli or garlic ranch sauce would be pretty good with the ingredients. 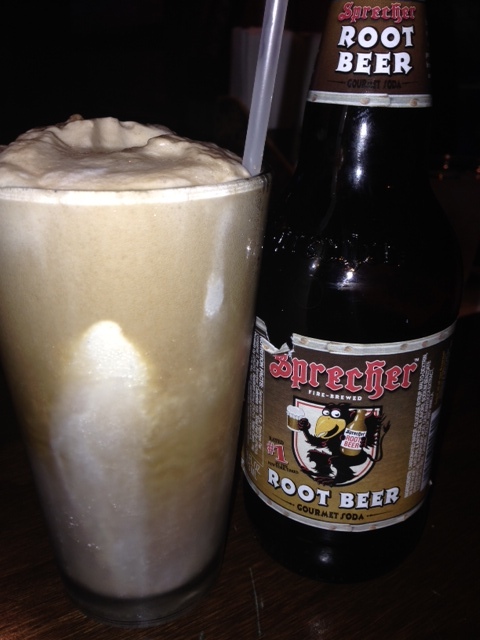 To end the meal and the game we got a root beer float with Sprecher’s root beer. The glass came probably 75 percent filled with ice cream and almost a whole bottle of root beer to keep adding to it. It was the prefect sweet, but not overly sugary end to an awesome meal during an awesome basketball game. FOOD NOTES: AJ Bombers has a great atmosphere and has some super simple touches and ingredients that really add some unique experiences and flavors to what feels like a chain restaurant. AJ’s originated in Milwaukee and there are only a handful of locations so it’s not a chain, but I was expecting chain food. They definitely surpassed my expectations. The things that impressed me the most, like the peanuts, Schlitz onions and potato bun, are so simple but actually added a lot to the meal. I will definitely be going back even if the Badgers aren’t playing (but if they are that would be a bonus!!!). I’m going to preface this review with the fact that I will always be a meat and potatoes girl over a soup and noodle girl. I have definitely enjoyed Korean, Japanese and Chinese food, and my experience at Saigon Noodles was great, but it would never be my first choice over a good brew pub or a great cafe. With that being said, I really did enjoy my lunch. 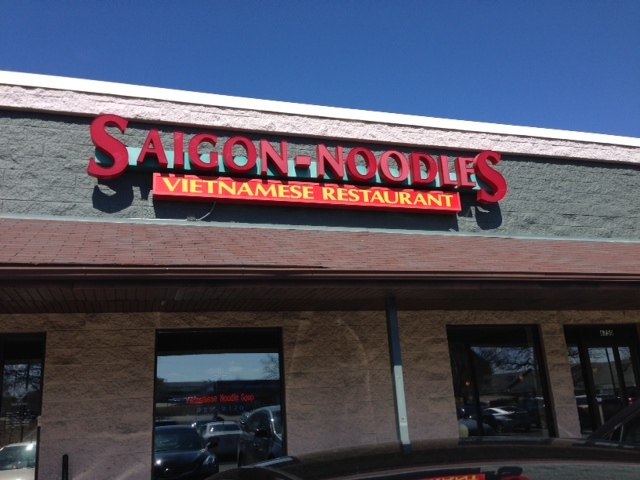 Saigon Noodles is at the end of a rundown strip mall on Odana Road, but the inside is surprisingly nice. It is bright with muted colors and a lot of tables. We had to wait a little bit, but they turned tables over really fast and our food came out even faster. I have only been to one other Vietnamese restaurant and I got Thai tea. I loved the unique earthy flavor and sweetness, so I decided to try it at Saigon. Their version was just as orange as I remember, but the sweetness was more muted, which I preferred. 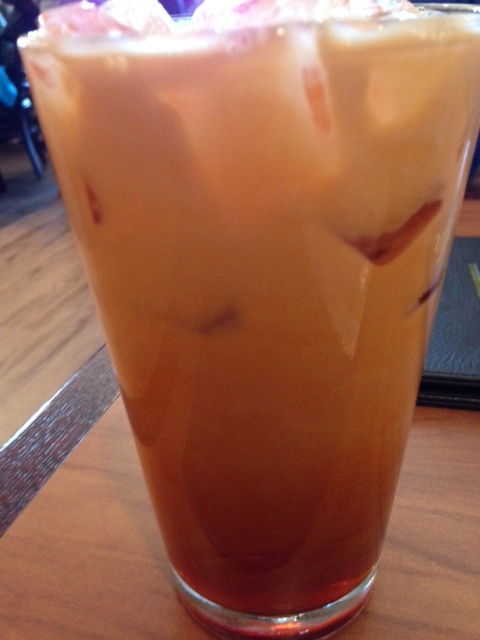 I’m not sure why it is called Thai tea at a Vietnamese restaurant, but it is a great little orange concoction that I definitely suggest trying! For starters we tried their spring rolls and their egg rolls. After we ordered those we were ordering a bowl of Pho to split and asked that it not come with cilantro on top, and the waitress very kindly told us the spring rolls come with cilantro in them and offered to put in a new order to be made without cilantro. That was extremely thoughtful of her because we really don’t like cilantro. The spring rolls were what you would expect. They were made with the sticky clear wrap, carrots, cabbage and had pieces of beef and shrimp in it. I’m not the biggest fan of spring rolls, but figured I would give them a chance. They were nice and fresh, and the beef had a good flavor. It came with a thick spicy peanut sauce that neither of us were too keen on. I don’t love peanut sauces in general. I usually prefer more savory sauces for my spring rolls. The house sauce that was in a squeeze bottle on our table was much better than the peanut sauce. It was salty, savory and thick enough for dipping. The egg rolls were much better than the spring rolls. They had a good crunch and the mixture inside was perfectly steamed and seasoned. 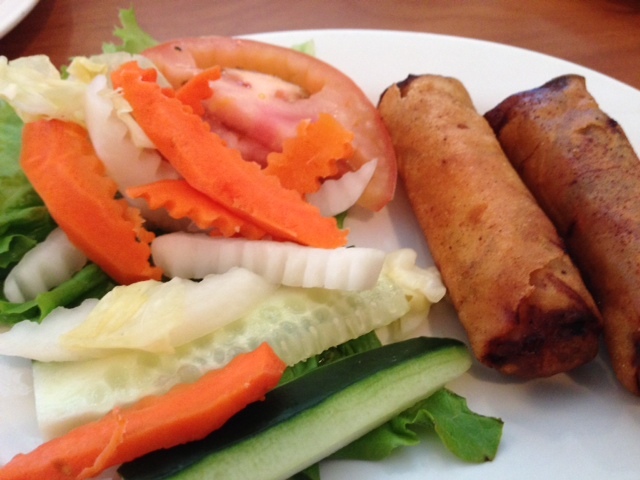 The egg rolls also come with a decent side of pickled veggies on the side. The carrots, cucumbers, white carrots and cabbage all had a light pickle and still had a good crunch. Out of the two, I would choose the egg rolls over the spring rolls, and both were great with the house sauce. My mom and I ordered a small bowl of Pho and split it. I’m super glad we went with the smaller bowl because it was huge, definitely enough for two. We got the regular bowl with beef tenderloin, and the beef was perfectly tender and there was a lot of it. An order of Pho comes with a plate of add-ins including crunchy bean sprouts, jalapenos, onions, limes and we opted out of the cilantro. We threw the bean sprouts, jalapenos and onions right in and squirted both limes all over. The bean sprouts and onions added a great crunch and freshness to the heavy broth. The jalapenos added a good spice, but you definitely have to be careful to not get two slices in one bite! The limes added a great acidity in the beginning but the juice was overpowered by the broth after a little bit. There were a ton of perfectly cooked noodles, and the broth was heavy and flavorful, but not too salty. Overall we were very happy with our large bowl of Pho. FOOD NOTES: Vietnamese food is not my go-to choice for dining out, but if that’s the type of food I want or I want to take someone out for Vietnamese food Saigon Noodles would be a good choice on the west side. I preferred the Vietnamese dishes I got at Ha Long Bay on Willy Street, they seemed more flavorful and maybe a bit more authentic. The spring rolls were nothing new, but the egg rolls were better than expected. 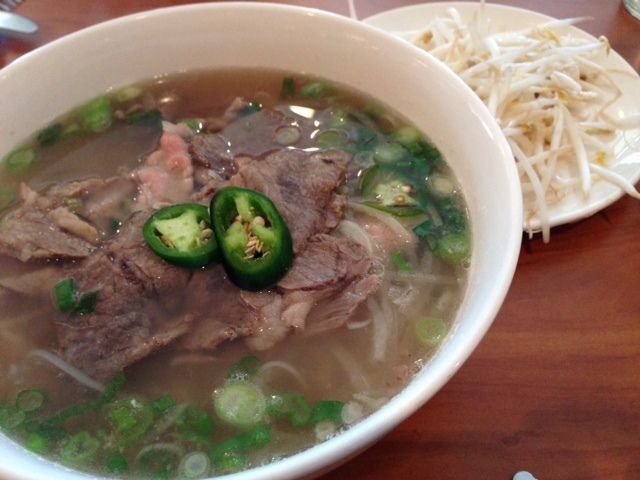 The Pho had a great flavor and the add-ins complimented the heavy broth. The service was good, and the dining room was nicer than expected. 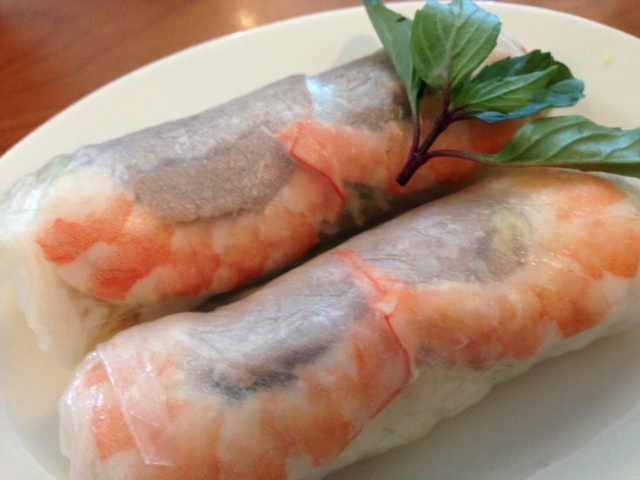 If you’re looking for quality Vietnamese food on the west side Saigon Noodles won’t disappoint. 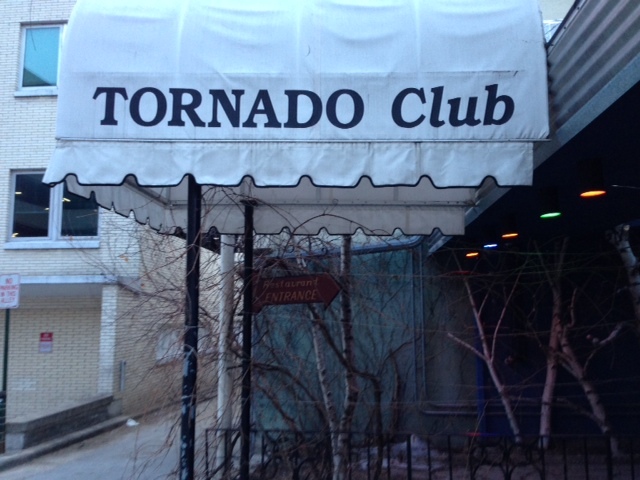 Madison has a lot of food events to promote restaurants, like Taste of Madison and Restaurant Week, but one restaurant sticks out in my mind as never participating in any of it: Tornado Steakhouse. Tornado is this elusive restaurant on the south side of the outer-capitol square (which is kind of the opposite side of where all of the other foodie restaurants are). 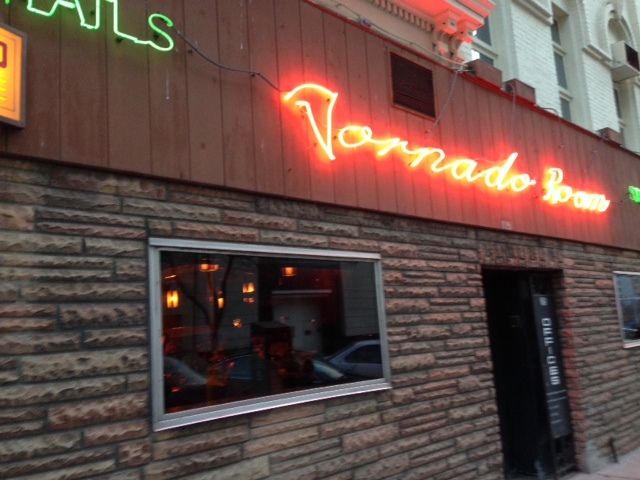 Not a lot of people talk about Tornado, but a lot of people do go there so I could never figure out why it was never part of the foodie buzz in Madison. Well, I think I figured it out. 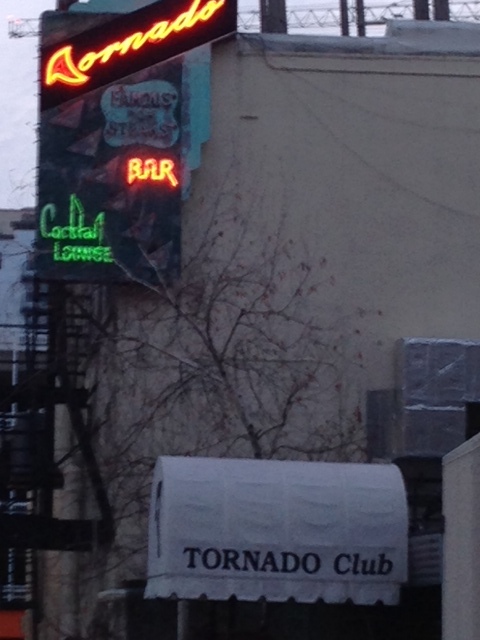 Madison foodies are very into new, experimental, modern things, and the Tornado is none of those things. It is 100 percent a traditional steakhouse done exceptionally well. 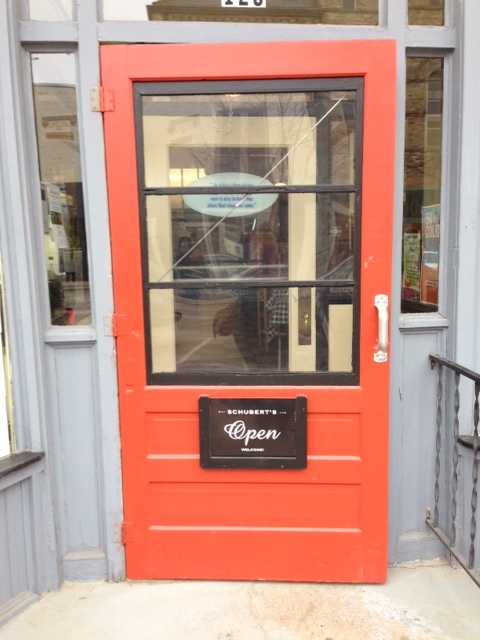 It is technically located on South Hamilton Street, but there’s also an entrance on West Main Street. The Main Street entrance brings you through a cramped bar featuring a couple round leather booths straight out of the 50s. The Hamilton Entrance takes you up a couple steps, past the secret entrance to their late-night bar the Corral Room (I hear it is straight out of Mad Men) and into the main dining room area. I’m not sure exactly how many dining rooms there are throughout the steakhouse, but I saw at least three on the way to the one we were seated in. All of them were bordered in dark wood paneling, and were sparsely lit by old-school sconces. As if the portions we were soon to order wouldn’t be enough, we were given a bread basket and a relish tray. 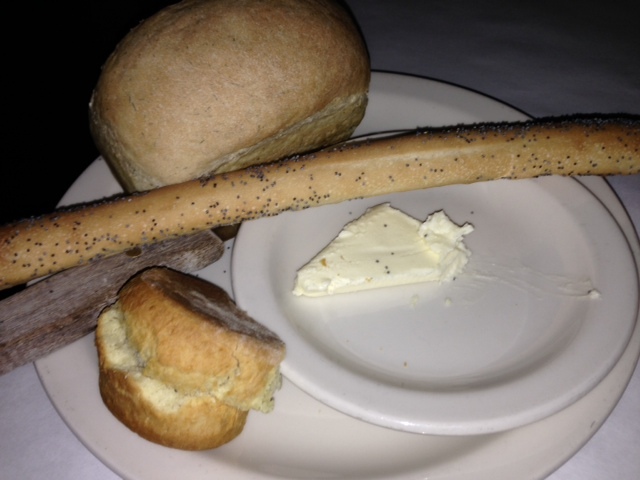 The bread basket had a biscuit, a crunchy long breadstick and a small loaf of bread. The biscuit was buttery, fluffy, moist and very good. The breadstick had a good flavor, but was kind of hard. We saved the loaf for last because we had high hopes for a small warm loaf of yummy bread, but it was super hard, not very good and kind of disappointing. The relish tray was not actually served on a tray. 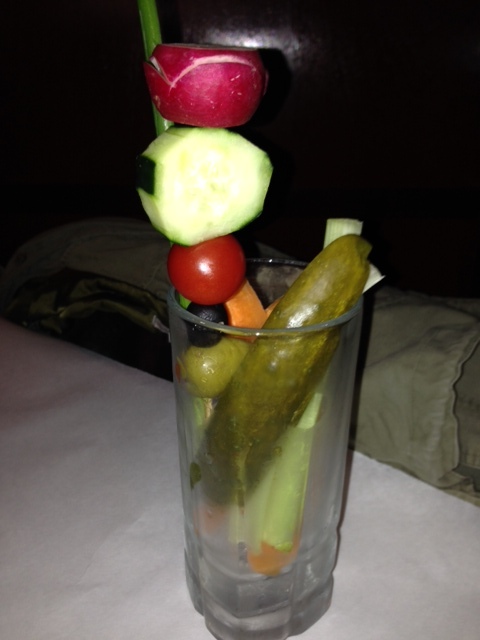 It came in an iced beer mug and had a pickle, some celery and carrots and a skewer with a radish, cucumber slice, cherry tomato and olives. It was a traditional relish tray, but I love the simplicity of a relish tray! 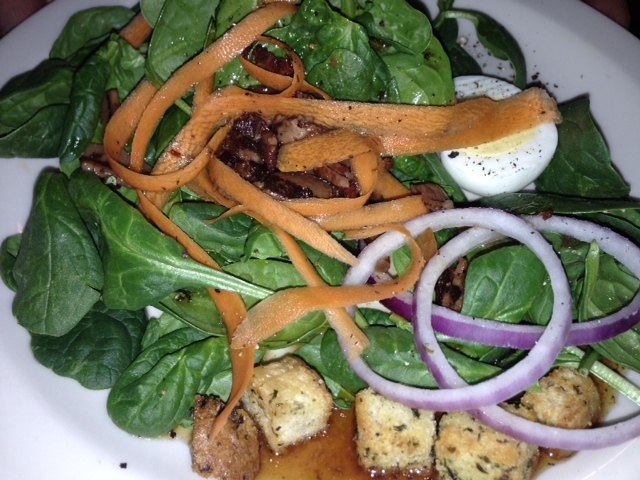 Every entree comes with a salad to start with. It sounds like you’re going to get a side salad, but it is a massive serving. Both the Caesar and spinach salads we ordered were double the size we were expecting. 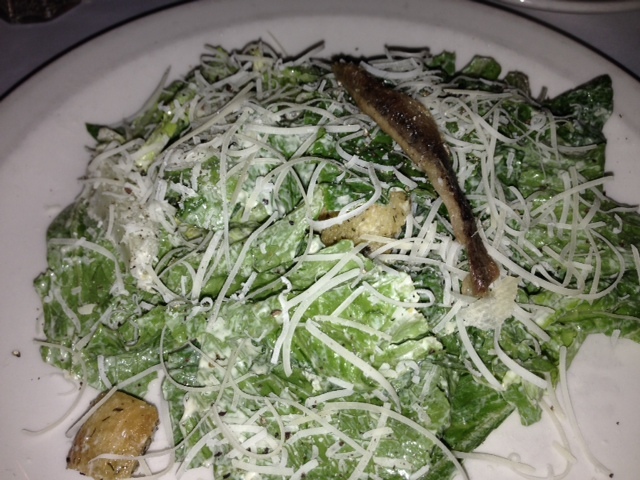 My Caesar salad had fresh romaine and a nice portion of parmesan cheese on top. The dressing wasn’t too overwhelming, but I did not eat the whole anchovy filet that was on top of my greens. The spinach salad my mom ordered came with a vinaigrette that was very tangy and yummy. Now on to the entrees. They offer seafood, chicken and other random protein options (venison, rabbit, lamb), but both of us were obviously going to order steak in a steakhouse like this. I got the 16 oz. 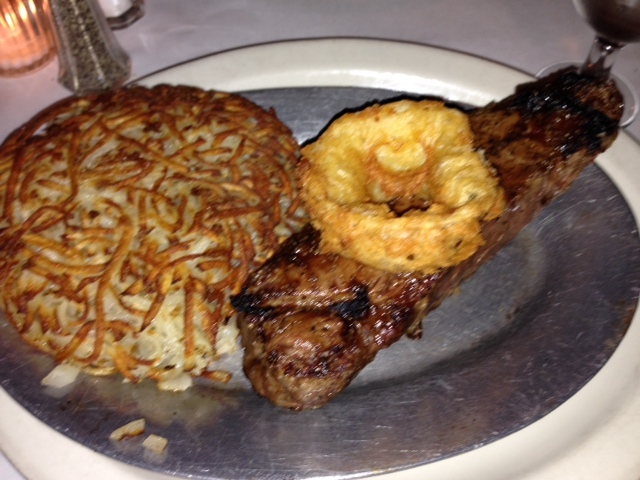 New York Strip Steak, and for a person watching portion sizes a 16 0z. steak is just a little more than four servings of steak. I ordered it medium rare. This steak was the most perfectly cooked, perfectly charred and perfectly flavored steak I have ever had. 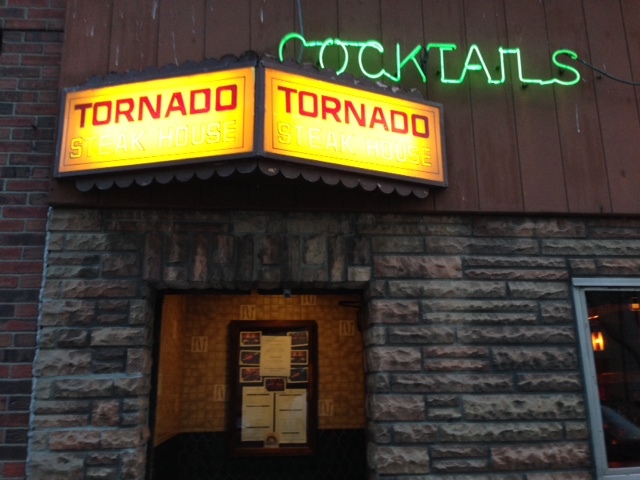 They really know what they’re doing at Tornado! The 16 oz. sirloin my mom ordered was exactly the same. 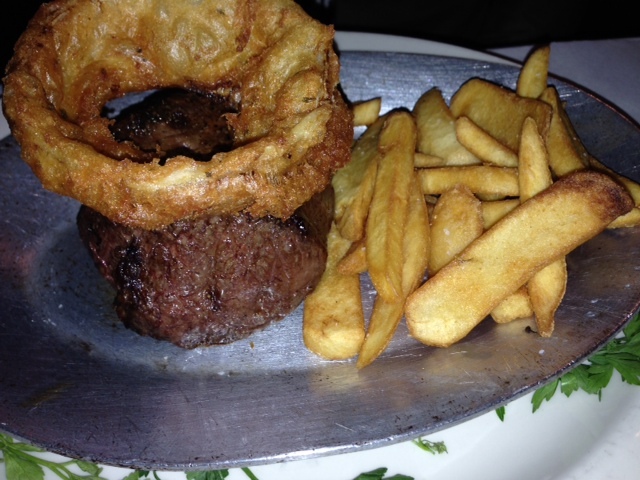 All of the steaks come with a single onion ring on top. The batter was very heavy, and lacked some necessary salt to balance it out. 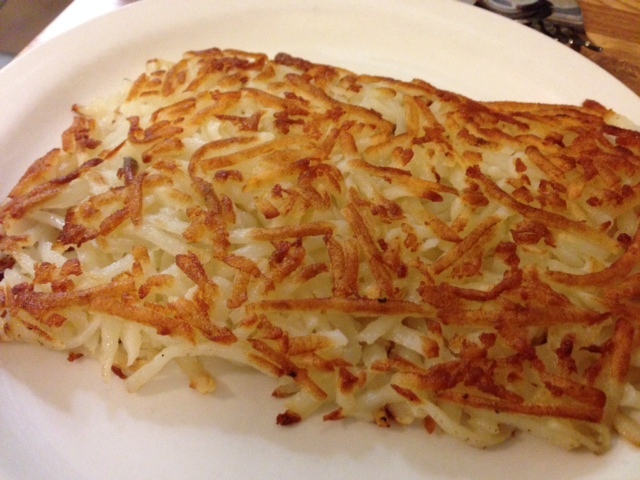 I got hash browns with my steak. They were crispy, hot and well seasoned, but compared to the steak they were nothing special. I thought for the caliber of steakhouse Tornado is, they would serve them with sauteed mushrooms and onions or something like that. My mom got the steak fries with her steak. They were not greasy and tasted baked rather than fried, but again they were overshadowed by her steak. FOOD NOTES: Despite the disappointing loaf of mini bread and the not-so-special potatoes served alongside our steaks, Tornado served up the best steak I have ever had. A lot of restaurants my parents and grandparents took me to as a kid had relish trays, and I really like when restaurants offer them…it is just so simple! The service was good throughout our meal, but there were multiple people doing multiple things throughout the dining room, not sure one dedicated server. The menu definitely gave us sticker shock when we first decided to go, but based on the fact that we each brought home another two servings of steak and one extra serving of potatoes as leftovers…the price doesn’t seem as astronomical. The prices are high, but not nearly as outrageous once you see the portions (especially if you exercise portion control and save some for another meal). Basically, my meal was $35, which sounds really high but I had another full meal of steak and hash browns, plus another meal of steak…so in my mind that breaks down to $2o for the initial Tornado meal (with the relish tray, bread and salad), $10 for the second at-home leftover meal and $5 for the third portion of steak. Doesn’t sound as bad does it! You’ll notice I use the term “townie” on my headline. Some people may take that negatively, but I mean that affectionately. There are a ton of amazing townie bars in Wisconsin, and I love visiting them!. What it basically means to me is that all of the locals go there, and they go there for a reason. 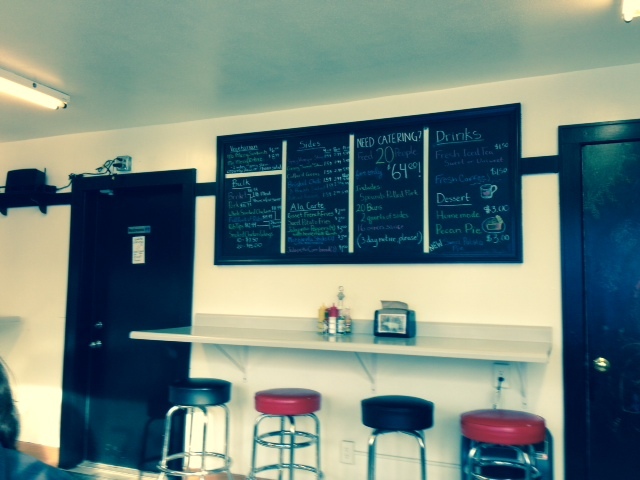 Townie bars are usually a little off the beaten path, and typically don’t have amazing food. 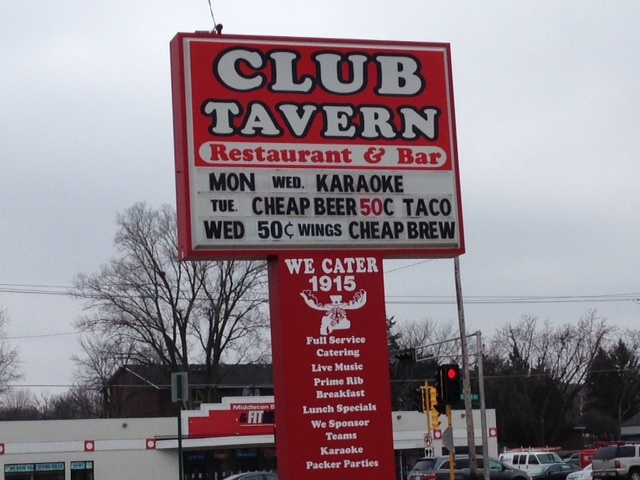 After looking at the menu at Club Tavern in Middleton my expectations were pretty low for their food because it seemed like a quintessential townie bar menu with generic appetizers, burgers, sandwiches and the token salad listings. 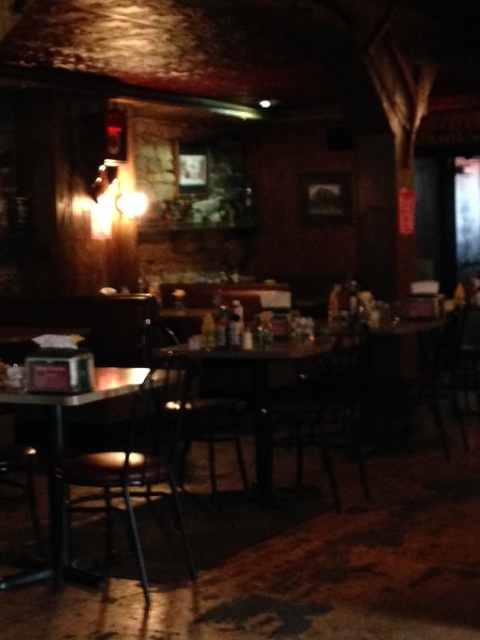 When we walked in to Club Tavern the expectations for the food went down even more. The door to the grungy storage room was open and 100 percent visible right when we walked in, we had to wait at the front door for a decent amount of time (as employees walked right by) to be told we could sit anywhere, the booth we chose to sit at was sticky and my seat was crooked, it was super dark inside and the decor was definitely odd. The highlights of the dining room were the tin ceilings, the exposed brick (except the brick right by my seat that had a bunch of garbage shoved in it) and the cool round booths in the front. I decided to go with the Ragin’ Cajun burger that had “haystack onions,” bacon, pepper jack cheese and Bourbon Street mayo on top. Again, I wasn’t expecting much with this burger, but when the massive portion arrived my expectations got a little higher. 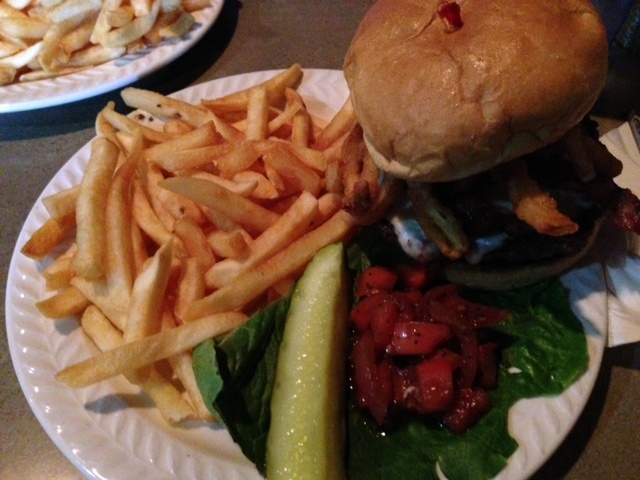 The burger was massive with a great blackened, spicy, crispy outside. The downfall to the burger were the “haystack onions,” which was a pile of generic fried onions on top. The onions were not exceptionally good, and were completely unnecessary. Once they were removed, the burger was pretty fantastic. The bun was soft, the rest of the toppings were fresh and in good proportion with each other. The fries absolutely sucked. They were barely seasoned, not crispy and definitely came out of a box. The shining glory on the plate was a completely unexpected tomato and red onion relish with a housemade balsamic dressing on top. The chef who delivered our lunch seemed extra excited to explain it to me when I asked him what it was. The relish was a great compliment to the heavy burger. The service was kind of 50/50. Our waitress didn’t seem to care at all that she had a table, and it really wasn’t busy. My water was only filled after it had been empty for quite a few minutes, and she was very absent between taking our order and bringing our bill. The other 50 percent of that equation were the two visits from what I can only assume was the chef and the owner. The guy who brought our food out was super nice and answered my questions about the relish with excitement. Another guy came to ask us how our food was and was also super nice. Our waitress could learn a thing or two from those two. 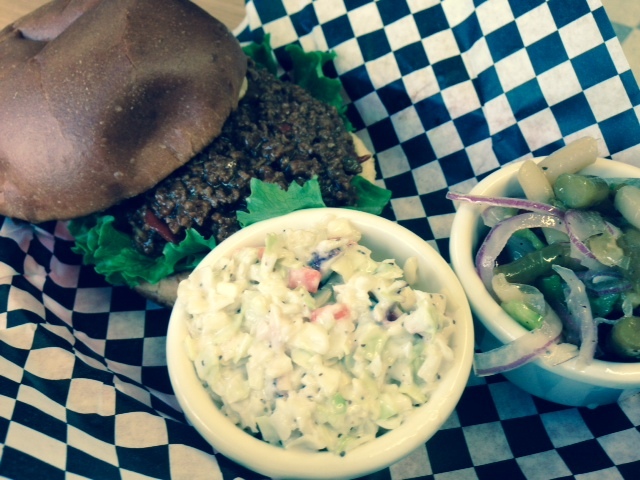 FOOD NOTES: Don’t discount this townie bar in the middle of Middleton. I can’t vouch for their entire menu, but based on the specks of glory in my meal, there are probably some pretty impressive things hiding amongst the traditional bar food. The fries were the most disappointing part of the meal. I am a french fry lover to the end, and it takes a truly special burger to overshadow poor fries. The Ragin’ Cajun barely makes up for the dumpy french fries I was served, but I would go back to try other options on the menu. Club Tavern needs to amp up it’s sides and appetizers to the level of their amazing burger and that unexpectedly amazing side of relish. Driving to Mt. Horeb for breakfast seems like a stretch, but I figured a friend and I could make a day of it and go antiquing after breakfast. 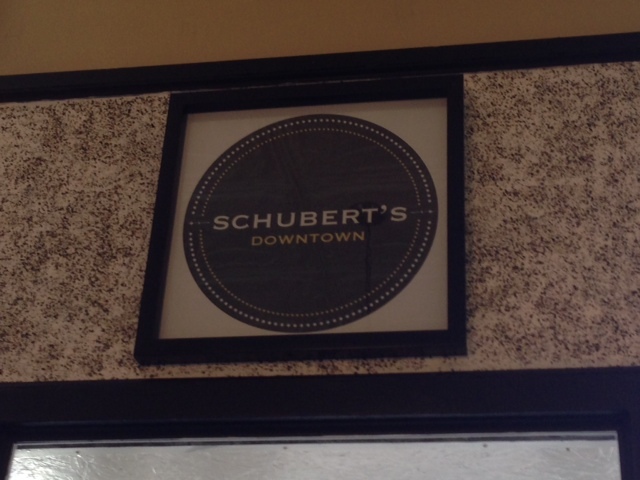 Schubert’s in downtown Mt. Horeb was a recent addition to my list of places to visit, but it fit perfectly with our plans to dig through some antique stores so we decided to go. 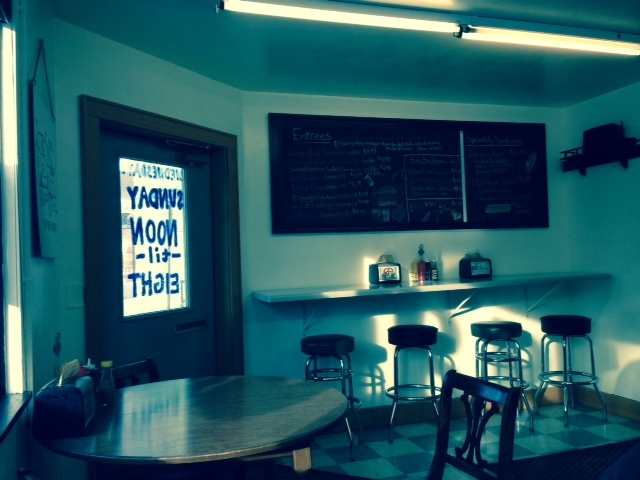 The super cute diner has a bakery case right by the door that anchors a counter that’s the length of the dining room. 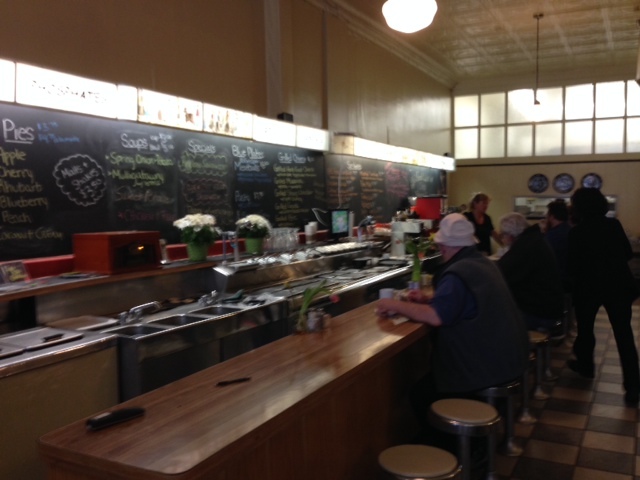 The counter has tiny, old-fashioned stools and features chalkboard menus and old malt machines. I loved the classic copper ceiling and glass, drop pendant lights. 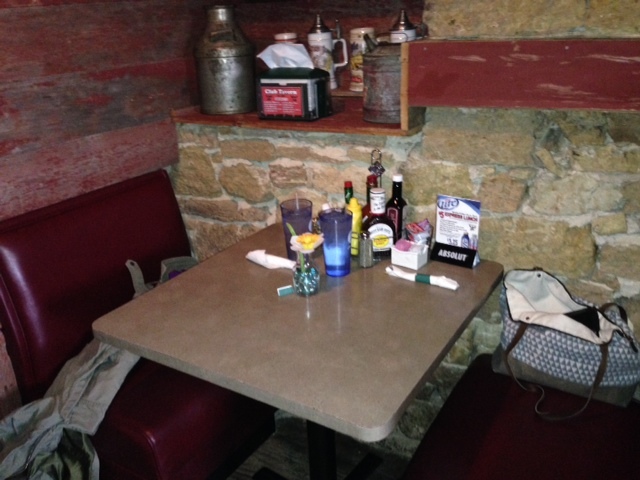 There are booths on the side and down the middle of the dining room, which adds a unique and cozy feel to the diner. 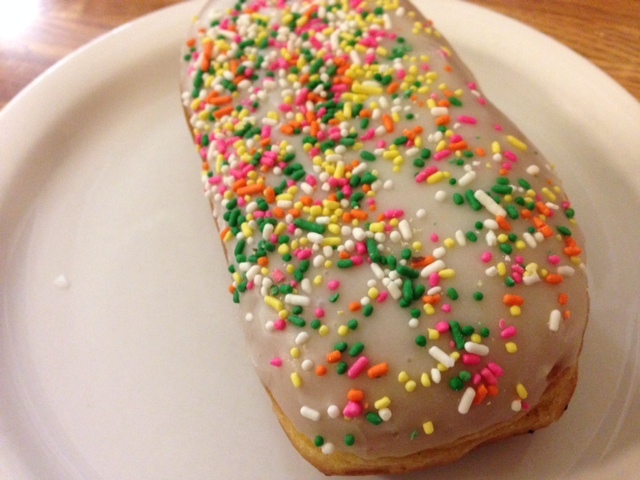 The bakery case got us as soon as we walked in, so we split one of their sprinkle donuts. The icing was perfectly sweet and complemented the fluffy and super thick donut. My friend and I definitely enjoyed our donut appetizer! It also went really well with their old-fashioned diner coffee. Their black coffee wasn’t anything fancy, but it sure was good, hot and strong. 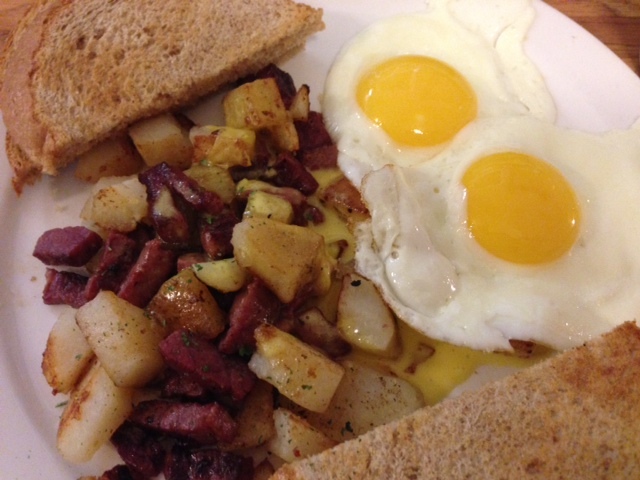 I got the house-made corned beef hash with sunny side up eggs. The potatoes and corned beef were crispy, crunchy and super fresh. I love that they drizzle the hash with hollandaise sauce. Hash tends to be a little dry, but a little bit of hollandaise really adds a lot of flavor to the dish. I can’t believe other restaurants don’t do that. The eggs were perfectly cooked with great crispy edges, and the toast was fresh. I would have liked to see homemade jam on the table, but I wasn’t annoyed with the individual packs of Smuckers. My friend got the biscuits and gravy. Fair warning: she got the full order but probably should have gotten the half order. 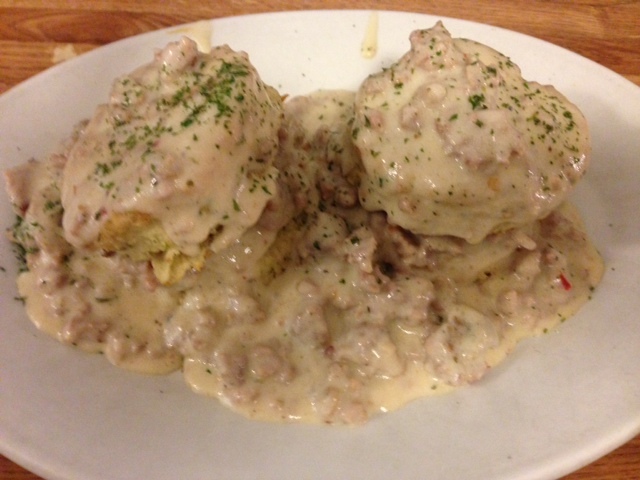 The massive biscuits came smothered in great white gravy filled with spicy sausage. Sometimes biscuits and gravy can be greasy, bland and super heavy. The biscuits had a great flaky consistency and a good butter flavor. I’m usually not a big fan of sausage gravy, but this one was deceptively flavorful with a lot of sausage in a great peppery sauce. She also got hash browns, but they weren’t anything special. They were nice and crispy, but could have used some seasoning. FOOD NOTES: Mt. Horeb is a good 30 minute drive from my apartment so Schubert’s will not be my go-to breakfast stop, but if I’m ever in the neighborhood again I will definitely go back. The donut and coffee were great. The corned beef hash was quality, but was elevated to amazing with the simple addition of hollandaise sauce! I still can’t figure out why more diners don’t do that! The biscuits and gravy were pretty great. The biscuits were fresh and flaky, and the gravy was peppery with a great flavor and tons of sausage. 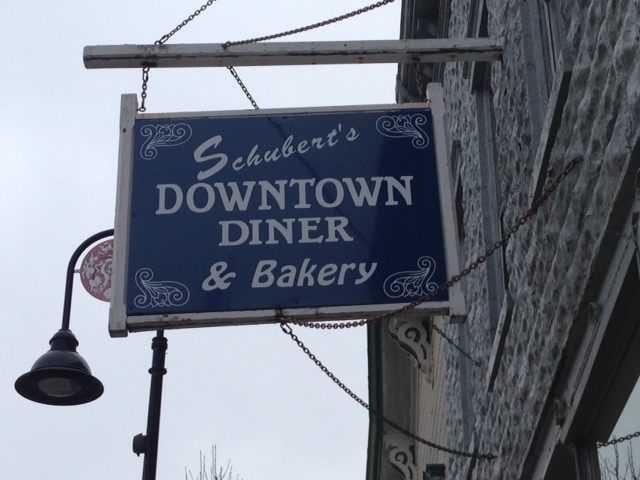 I’m usually not a biscuits and gravy fan, but Schubert’s homemade version was great. With all of the great homemade options on the menu I wold have liked to see homemade jam on the table, but it wasn’t a deal breaker.